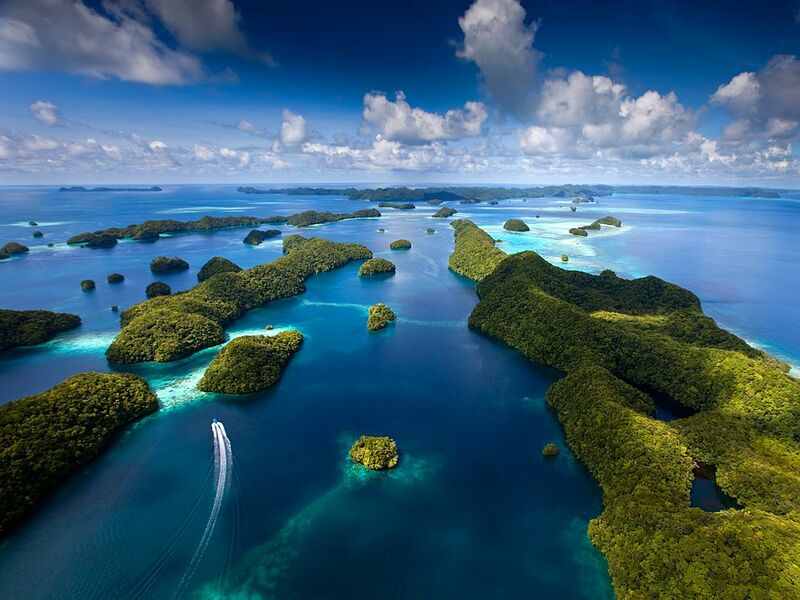 A boat speeds through the otherwise quiet waters of Palau's Rock Islands. Located in the western Pacific, this Micronesian archipelago is made up of more than 250 islands. Tourism is the country's main industry; its rich marine environment invites snorkeling, diving, and lounging.